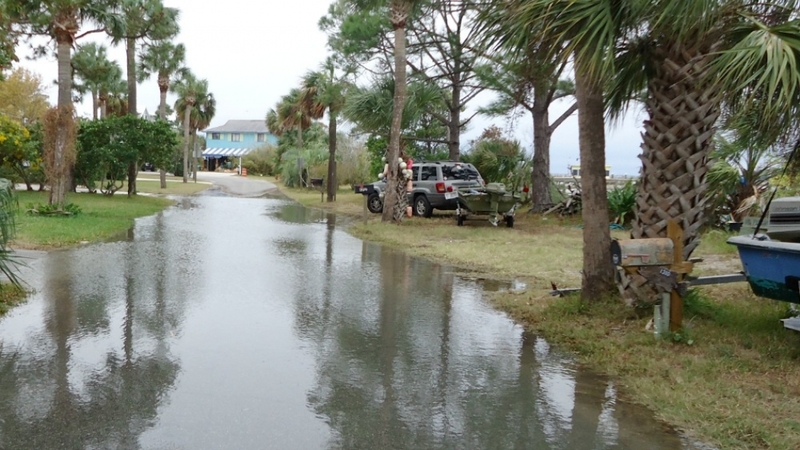 King tide flooding on Tybee Island in the fall. The barren continent — the planet’s greatest reservoir of ice — remains shrouded in frigid mystery, and a lack of scientific knowledge about its ice sheet means scientists can’t yet predict how much flooding it could cause as temperatures continue to climb. A recent study, though, added to concerns that it could begin disintegrating, inundating coastal neighborhoods around the world, unless the heady goals of the new U.N. climate pact are achieved. The Intergovernmental Panel on Climate Change’s most recent findings, from three years ago, appear to have underestimated the potential seriousness of the Antarctic problem, with sweeping implications for the urgency of pollution cuts — and for the futures of coastal communities like Tybee Island’s. The oceans are rising globally by about an inch per decade — and that rate is hastening as carbon dioxide, methane and other greenhouse gases continue to warm the planet’s surface. Global temperature records were set in 2014 and again in 2015, and in each of the first three months of 2016 due to global warming and a strong El Niño. In that paper, published last month in Nature, UMass professor Rob DeConto and Penn State scientist David Pollard developed an ice sheet model and used it simulate the effects of two processes they think could be crucial. Meltwater seeped into the ice sheet in the model and cracked it, exposing towering cliffs of ice that toppled under their own weight into the Southern Ocean. 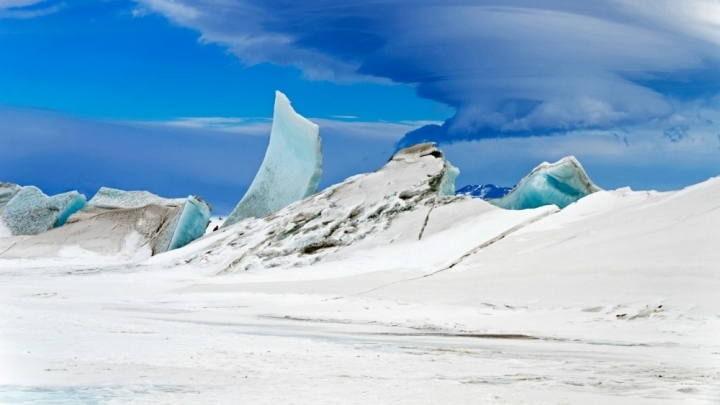 Scientists are trying to figure out how Antarctica will respond to warming temperatures. The paper’s findings rest on a key assumption — that the rate of melting of Antarctic ice will be exponential rather than gradual. The research doesn’t investigate whether that assumption is correct. 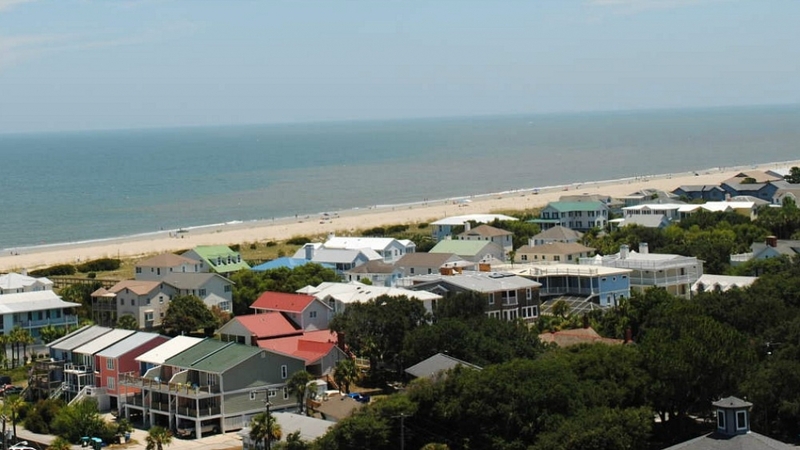 The main city on Tybee Island, which is also named Tybee Island.